"I am excited to be a part of the 12 Days of Christmas here at Inspired by Fabric! 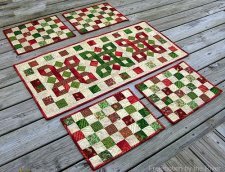 I used the beautiful Christmas fabrics Tis The Season by Ro Gregg to create a table runner and place mats that will be perfect for the holidays. 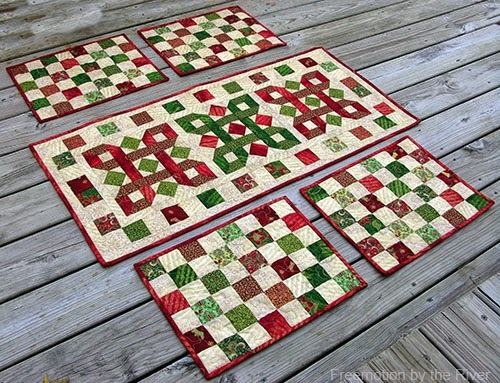 "The floral print used on the back of the runner and place mats can make these reversible. 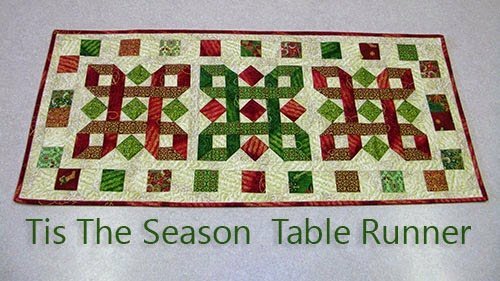 The finished size of the table runner is 18 x 40 inches and starts with three 10 inch blocks. The place mats are 12 x 16 inches. I hope you enjoy the tutorials!"